← Mirror, Mirror, What do you See? The first time she heard a voice being used as an instrument, was the day she would mark as euphoric. How hard able bodied people have to work to make their visions come to life, caused her to doubt whether she could dare to desire such a career for herself. Speaking was almost impossible though she was given the tools to sing words by hitting letters on a keyboard. She knew with determination, practice and patience she could, at least, try. A challenge she embraced and will tackle greedily. Easy and challenge are not friends, but joy and challenge can be. Find joy in challenges and life changes. This entry was posted in Autism, autistic, Teens and tagged career, challenges, communication, dare to dream, dreams, hard work, joy, Performing, RPM, singing, spoken words, Typing, typing to communicate, unreliable speaker. Bookmark the permalink. I love, love, love your blog post! AND it is the first post you’ve made using your own account, showing it as yours. I am so proud of you, it brings tears to my eyes and fills me with indescribable happiness. You are a rock star already!! Fantastic! I joined choir in 4th grade and mostly hummed along because the words didn’t have the meaning they should. I look back now at the 70’s and all the music I listened to and never understood the words–oh my! As I have aged, the reveal to the meanings of those words has been incredible. LOL. All the best for you EM, in your “reveal”! This is the way I want to go through my own life, embracing and tackling challenge greedily. The image your words conjure is so powerful. I have no doubt that your strength will carry you through life well. Again, I am thankful for your posts, as they help me see myself and others through different lenses. Congrats Emma and family.I can’t wait to see my 3yr old daughter doing some amazing things in her future. that. so, so, so that. thank you for your words, emma. please know how cherished they are. This is great, Emma. I am taking singing lessons and find it that I don’t mix up my words like I do when I’m speaking. Yay Emma! This proves that anything’s possible…even a nonverbal person learning to sing! 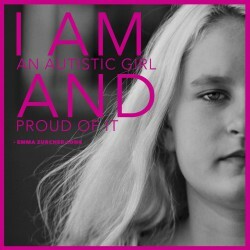 When people don’t believe I can do something because I’m an aspie, I prove them wrong. All those arrogant people in the world who don’t believe… I wish I could throw this article in their faces as they say “that’s impossible!” A few select things are really impossible, but everyone should know that a person can do 99.9% of those “impossible” things if they put their mind to it. I’m out of words for how wonderful your writing is. As you know, certain things are beyond words! 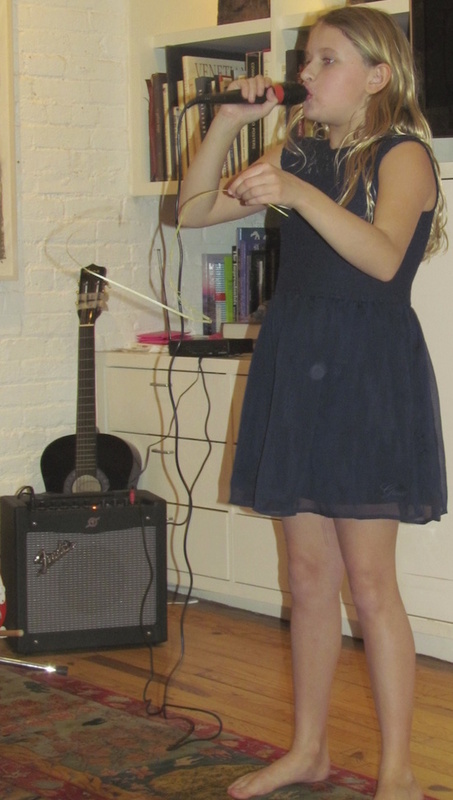 Emma, you are such an awesome singer! A real “belter” in the Judy Garland league. You have outstanding range and near perfect pitch. I can feel how frustrating it must be for you to desperately want a career as a performer and yet have such a challenge in speaking. “Easy and challenge are not friends, but joy and challenge can be.” Here’s hoping those words and the joy you feel will sustain you through those challenges. Go Emma! Just so proud of you Emma! Emma, we are so happy to be part of your blogging fan club! We can’t wait to read more. I hope you feel our support and appreciation for putting yourself out there to help others. Go Girl–Noah says hello. He has challenges speaking but give him a poem to recite and he’s an amazing vocal artist. I think your writing is fantastic, you’re such a poet and magician with words–so fun to read your writing. I see a future of Noah learning the guitar and writing his own songs–You could too. :::high five::: Thanks for inspiring me to pursue my dream, Emma! Skype or FaceTime? I have some brainstorms about becoming a famous singer that I think you will like!! This is a wonderful milestone moment. Love your writing Emma.